Every day begins with much the same wonderful question: “What shall we do today?” Usually I am the one who steers our activities but today Bernie suggested that we spend a day on the Left Bank visiting a new restaurant recommended by Jim & Peggy Bilbro, followed by a stroll around the area to see what surprises we might find. And find them we did! First, however, I must comment about the weather. We just must be living right to be blessed with these gorgeous autumn days. It’s pleasantly cool enough for a light jacket in the morning and then by afternoon in the sun, the jacket comes off as temps rise to the mid-70’s. In other words, close to perfect. It should be this way for the remainder of this week with a slight chance of rain on Sunday. It is very dry, dusty and hazy so not great for allergy sufferers. We decided to take the subway to our lunch destination and then walk home so it would be all downhill! 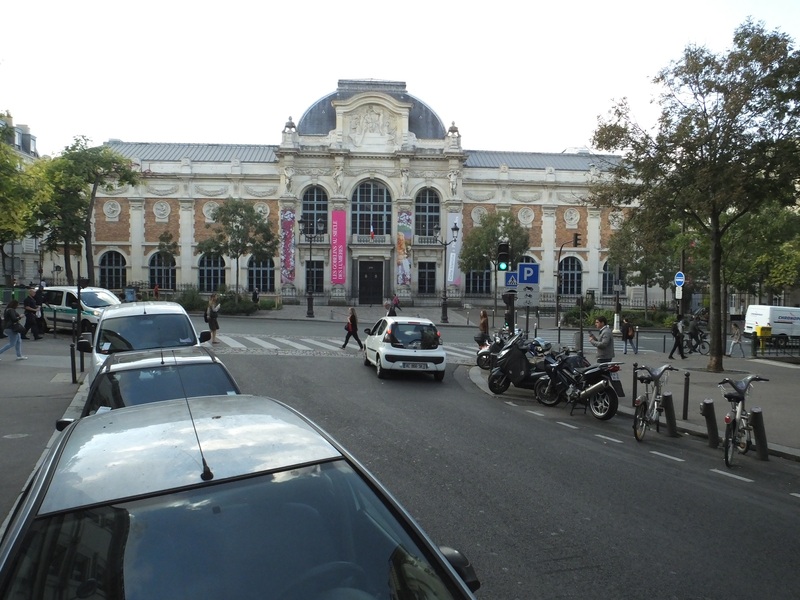 Our subway stop was Gobelins, a lovely area we’ve been to before and liked so much that I have searched for rental apartments there without luck. We found the new restaurant called L’Agrume without any difficulty. I did a little pushback as it looked so uninviting from the exterior. I should have known better. C’est Paris! One should never judge by the outer facade and I know that! The food was expertly prepared, and the price was very reasonable. The chef was cooking right out in view of the patrons and each dish served was a gourmet surprise. Bernie had a triple starter: mussels, a shrimp soup and a petite salade with poulet (chicken) and grapes. Divine. I nibbled off his plates. We both had the plat du jour (special of the day from a choice of 3) which was thin slices of perfectly prepared veal with carrots, mushrooms and chives. We plan to return! If you’re a Trip Advisor follower, L’Agrume has 4.5 stars and is truly in the middle of nowhere with such an unassuming presence on a small sidestreet. However, mark it down as a Paris “must.” It is tiny so reservations would be required for dinner, I’m sure. Next, we visited a new museum called Le Galerie des Gobelins. 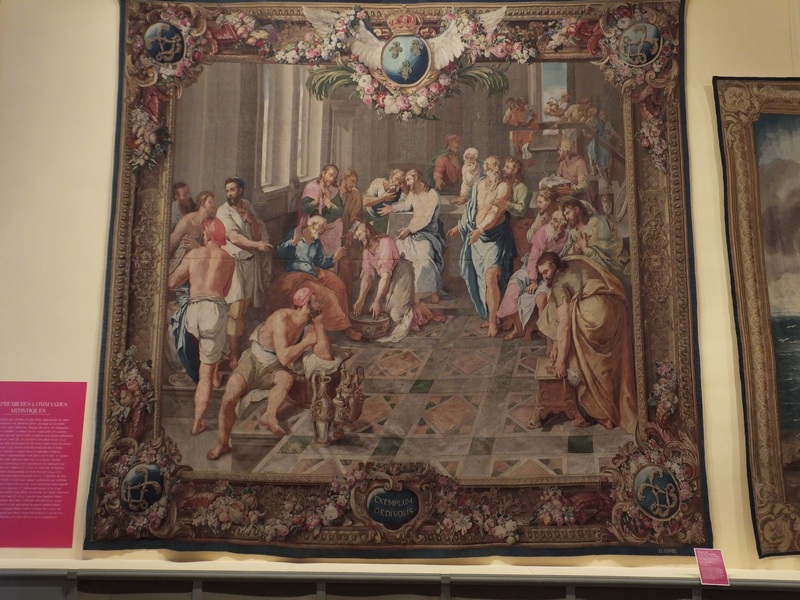 The Manufacture des Gobelins is a tapestry factory located at 42 avenue des Gobelins, near the Les Gobelins métro station which is the 13th arrondissement. It is best known as a royal factory supplying the court of Louis XIV and later monarchs; it is now run by the French Ministry of Culture, and open for guided tours several afternoons per week by appointment. The impressive grand building, built in 1912, houses gorgeous tapestries which depict art, religion and life in the 1600 and 1700’s. Bernie took several great pictures. 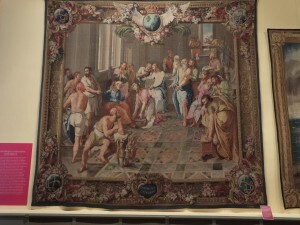 The actual arteliers or workshops are behind this grand gallery and date back to these same early times. We thoroughly enjoyed this visit, only 6 euros each, no crowds, quiet and lovely! 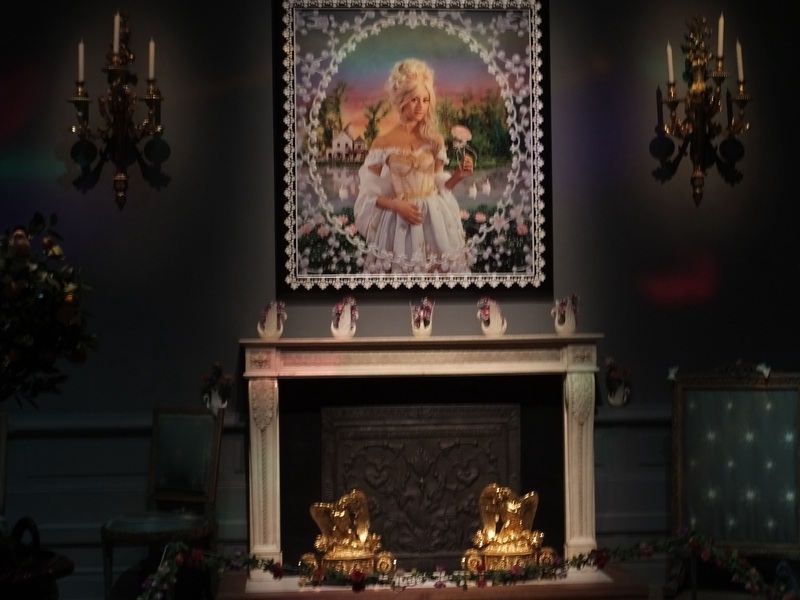 One of the more interesting pictures that Bernie took is a picture of Marie Antoinette. This was a special exhibit using multi-colored flashing lights called Les Gobelins au Siecle des Lumieres. I don’t think the pictures do it justice. 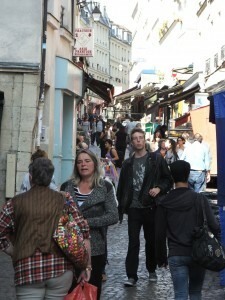 We strolled down avenue des Gobelins until it merged into Rue Mouffetard, one of our favorite pedestrian streets. 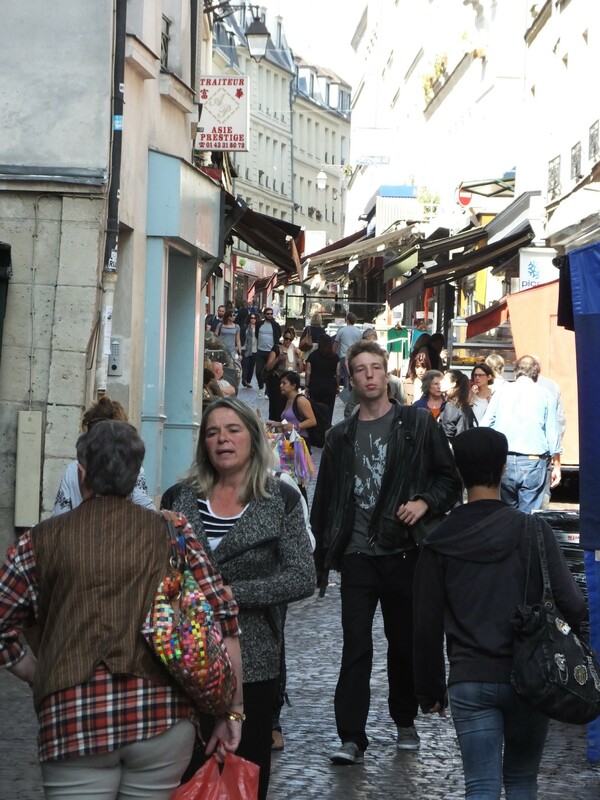 The beautiful day, the open markets, the vendors selling their wares, a spark of old Paris which we love. 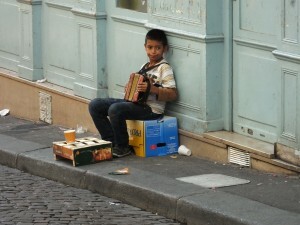 There was even a little boy playing the accordian. 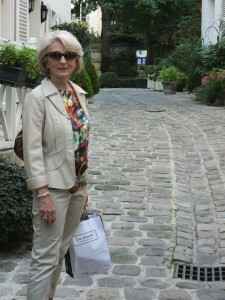 On our walk home, we found another memorable spot, Hotel des Grandes Ecoles. If we ever have to stay in a hotel again in Paris, this will be our pick. 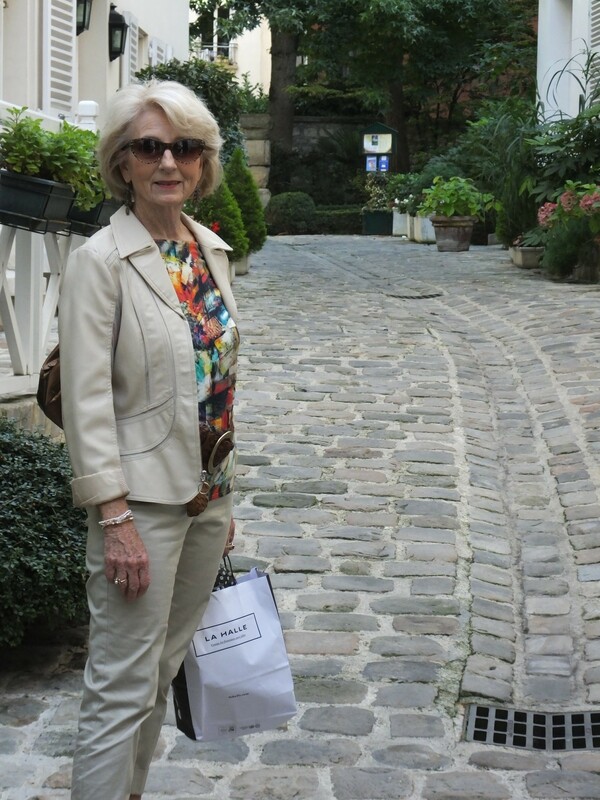 Bernie took multiple pictures but I’m not sure they will capture the beauty, the quaintness, the aura of old Paris. It’s like walking into someone’s garden estate in the country. The prices are remarkable given the ambiance, 135-150 euros per night for two people. We will store this one in our memory for future reference and so should you! Our walk home took about 30 minutes and we arrived full of satisfaction from such an enjoyable outing. « “Formidable, Magnifique, O-la-la”: Mode de Paris	» October in Paris and Another New Restaurant! What an absolutely delightful day! Good job, Bernie. Thanks, Judy. Next visit, we’ll take you to rue Mouffetard. My goodness what a lovely day, with a delightful meal and abundant visual surprises galore! Thanks, Cindi, for your comments and feedback. It makes us both feel good about our efforts to take the photos and write the blog. 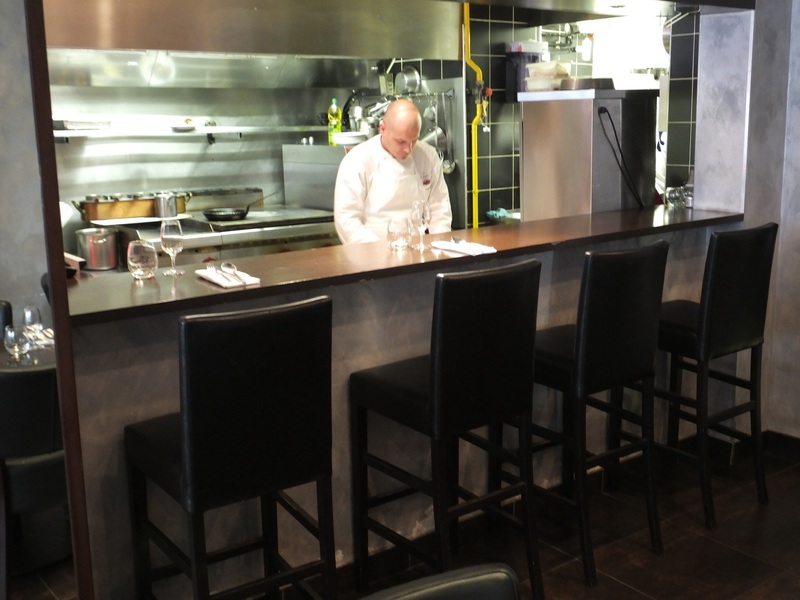 Now try Frenchie Wine Bar and if you are really adventurous take Bernie to the Fée Vert for an absinthe for his birthday! He wil enjoy it! What a delightful day! Keeping notes for our next visit. Love your blog and photos. We leave in 2 weeks for our piece of heaven in Oxford. I hope our adventures are as interesting as yours. Donna, hope you have a wonderful trip! And yes, many interesting adventures!